As the global economy expands into every corner of the world, many national fiscal authorities are seeking more effective ways to protect their tax bases. Vietnamese authorities are recently increasing to perform more tax audit on transfer pricing, especially for FDIs who have carried losses for certain years. Circular 117/2005/TT-BTC dated 19 December 2005 and Circular 66/2010/TT-BTC dated 22 April 2010 providing guidance on related parties’ transactions. 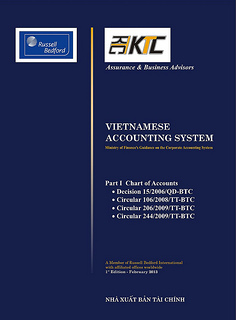 The Circular has translated into increased challenges for multinational organizations in Vietnam. From detailed transfer pricing regulations to strict documentation requirements, sophisticated audit practices to significant penalties for noncompliance, FDI companies are looking for advice in dealing with the increased regulation and higher scrutiny for recent years. For many of them, the place to turn has become Russell Bedford KTC. Our transfer pricing professionals and multi-disciplinary approach helps us to provide corporations with effective and compliant transfer pricing strategies. We believe that first and foremost, any transfer pricing exercise must be based on sound and defensible principles. In addition, we will utilise a consultative approach where we take your business objectives, operational requirements, and practicalities into consideration. We generate tax efficiencies and mitigate the risk of potential challenges by tax authorities. Russell Bedford KTC’s Transfer Pricing Services team has the experience and also supported by a network of global transfer pricing professionals from Russell Bedford member firms around the world and from our associated experts in the field, especially from our Russell Bedford Hongkong and Russell Bedford Malaysia. This helps us look beyond borders and understand the nuances of different national tax regulations. Currently Toby is general manager of Fu Ten Transfer Pricing Consulting Company in Taiwan, and occasionally working with KTC Assurance & Business Advisors on transfer pricing consulting clients in Vietnam. Toby was a former specialist in transfer pricing service group of PricewaterhouseCoopers (Taiwan) accounting firm, and also a former team leader of underwriting department of Capital Security. Toby is a founder of Taiwan Transfer Pricing Research Center and has involved in many researches related to transfer pricing of Taiwanese companies. Toby is strongly knowledgeable of International and Vietnamese Accounting Standards, International Public Sector Accounting System and taxation laws and transfer pricing regulations. Toby gained his MA in Financial Economic Law, Chung Yuan Christian University, Taiwan and is a well-known transfer pricing expert in Taiwan, China and Vietnam. Linh has extensive experience in working with international organizations (e.g. World Bank, ADB, UNDP, Coca-Cola, ABB, Ha Tay Brewery, Hilton Group etc.) as financial consultant, analyst and auditors. She worked fours years in the Hanoi Assurance and Advisory Business Services Department of Ernst & Young Vietnam as senior auditor. 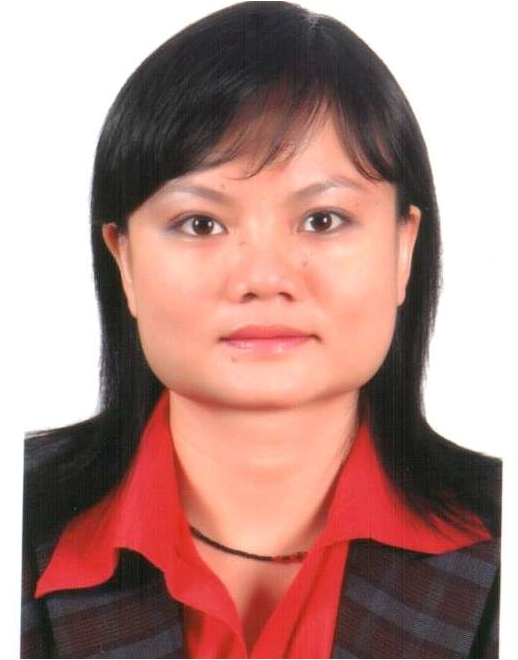 Currently Van Anh is our branch director in Ho Chi Minh City, in charge of the operations of the branch. Van Anh has involved in tax compliance and consultancy business during her working time at Ernst & Young Vietnam, before working as financial controller for FDIs in Vietnam. She also experienced as audit executive for UK and European companies during her working time at PricewaterhouseCoopers UK. Van Anh is knowledgeable of International and Vietnamese Accounting standards, taxation law and transfer pricing regulations. 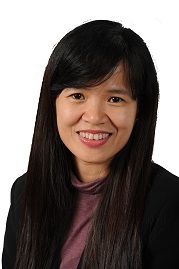 Van Anh gained her Bachelor Degree in Melbourne University, Australia, and is involving in training for ACCA, ICAEW certificate, CFO, CEO Coaching and other entrepreneur courses. An Enrolled Tax Agent with U.S. Internal Revenue Service, Louis has more than 20 years of experience and is an expert in U.S. individual and expatriate taxation. He had worked for an international accounting firm for more than 10 years in Hong Kong. Before joining Russell Bedford Hong Kong, he worked in Toronto, Canada specializing in tax planning for high net-worth individuals and U.S.-Canada cross-border tax planning.